Covenant Relationships: Have You Put 'The One' On Hold? Have You Put 'The One' On Hold? I'd like to think everyone is seeking a partner they can spend forever with. No matter how nonchalant we may feel about serious relationships, there is a part of us deep down that yearns for an uncommon connection with someone else. We all yearn for someone that knows us so well, it makes other people wonder if they know us at all. We all want to feel we are loved, cared for, and we have that special person to call on when the chips come tumbling down. Why then do we put these special people on hold when we meet them? There is a very crazy trend I have noticed; we tend to put the people we genuinely connect with on hold because we are just not yet ready for something serious. I think this trend is more common with men; but from conversations with young men, some women are also aboard this train. There is something about a strong connection with a person that makes us believe that no matter what we will always have that person to fall back on. There is something about a strong connection that makes us believe that person will not find anyone else either, so why don't we do all the crazy stuff we want to do now and come back to this special person when we are all good and ready? I call this putting the right person for you on hold. Let's think about it this way: You call a friend over the phone and the conversation is good... not just good, but really amazing and stable. 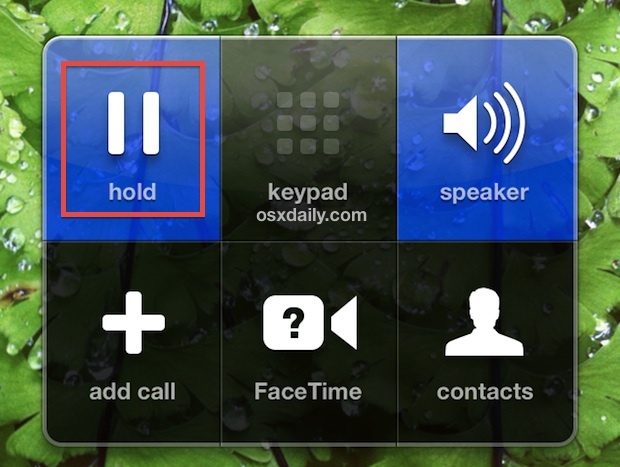 Suddenly, your phone beeps and it's an incoming call i.e. a distraction. It's a tempting one so you decide to put your friend on hold. You pick the tempting call and you get carried away by the new dimension it brings. It is exciting, invigorating, unstable but enticing so you keep the conversation flowing while your friend is on hold. This happens more times than it should and it becomes a norm for you. Your friend gets tired of being put on hold after a few calls, and starts to do one of two things - puts the phone on speaker and goes to do other things or hangs up. Sure you can always call back if the call has been dropped but what if... just what if... when you call back, you find that your friend is on another call, and is unwilling to drop that call for you because you have a trend of putting things on hold to attend to other distractions? Be careful when you think you are playing smart by putting the partner God has sent to you on hold while you play around with people who have no business in your future. Be careful when the devil feeds you lies such as "you are still young", "you should play around more", "it's not yet time", "you don't deserve this person". Be careful of the lies in your heart that tell you this person is a last resort and will always be there. Be careful because the person you've put on hold can receive another call, not from someone they won't like but from someone who will be ten times who you are and actually want to talk to them. Once that new call is picked, you'll have difficulty reconnecting, and even if your call manages to get through, the stability, nurture and support that you were meant to enjoy will end up being given to someone else, and you might find yourself saying things like "He used to DM me you know?" or "She used to get excited whenever I gave her attention." No doubt he or she was crazy about you, but you put the call on hold and attended to the things you felt couldn't wait. You took for granted the one person that should have received ALL your attention. Used to? That counts for nothing. Yes, you might find someone too but you can agree with me that God's perfect will is always much much much better than God's permissive will. You Don't Need A Spiritual Revelation! Are You Intimidated by Her Success? Are You Attracting Bad Vibes? How Do You Know Who The Right One Is?